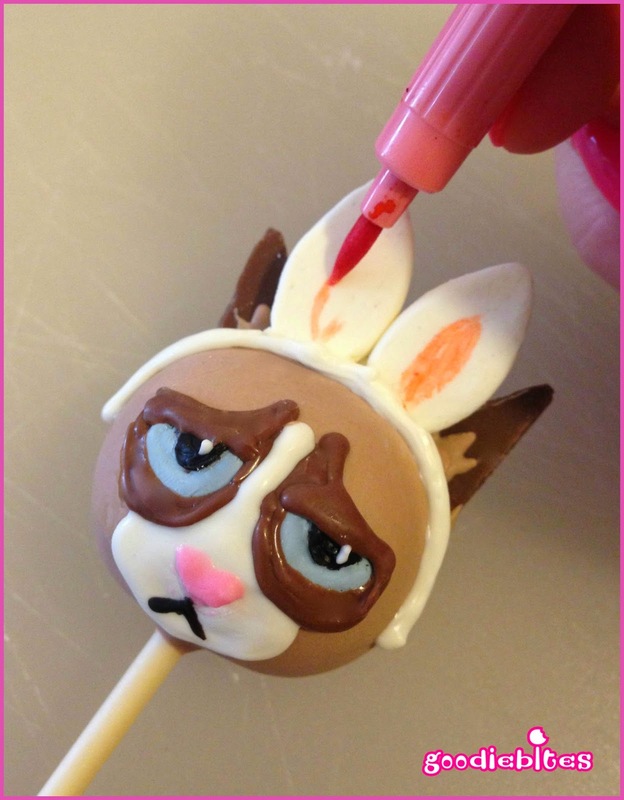 Grumpy Cat Easter Cake Pops add a bit of sweetness to Grumpy Cat’s grumpy attitude. 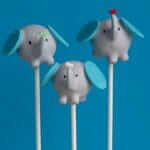 you can’t possibly frown these cake pops away! 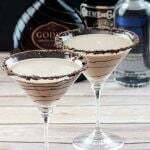 My contributor Lisa from Goodiebites is back with a fun tutorial! I love what she has decided to do for her Easter post! This is too fun not to make! Hi There. 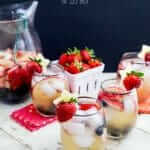 It’s officially Spring! But here on the East Coast it still feels like winter! BRRRR. 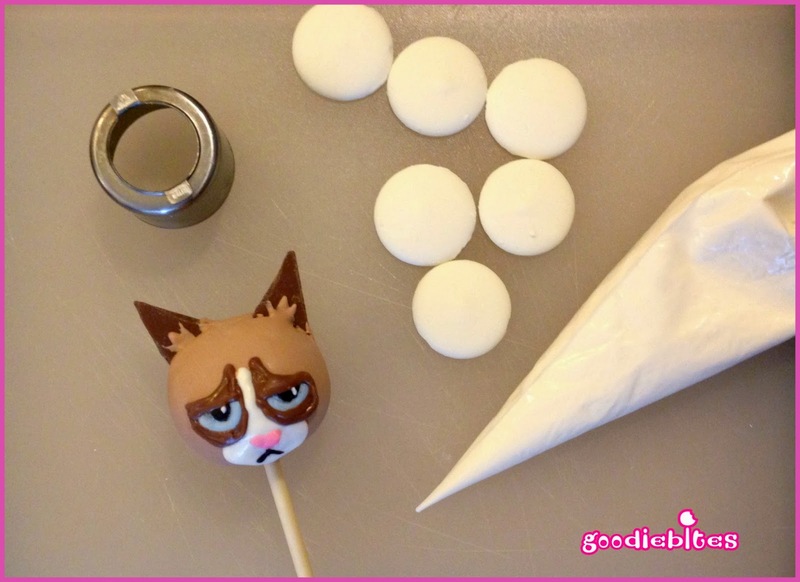 So who better to use for a Happy Springtime Easter Cake Pop Tutorial post than my good friend Grumpy Cat. I mean, he just oozes with the warmth and happiness and joy, doesn’t he? Maybe adding some bunny ears will put him in the proper mood……doubtful but at least it made ME smile to do it. 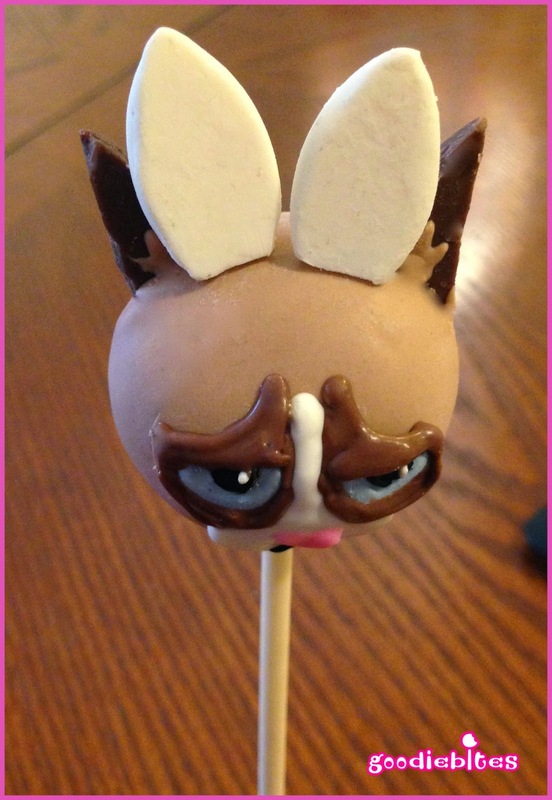 Here’s how you can make your own Grumpy Cat Bunny Cake Pops. 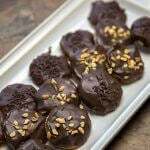 First, you’ll need to cut the candy melts into bunny ear shapes. 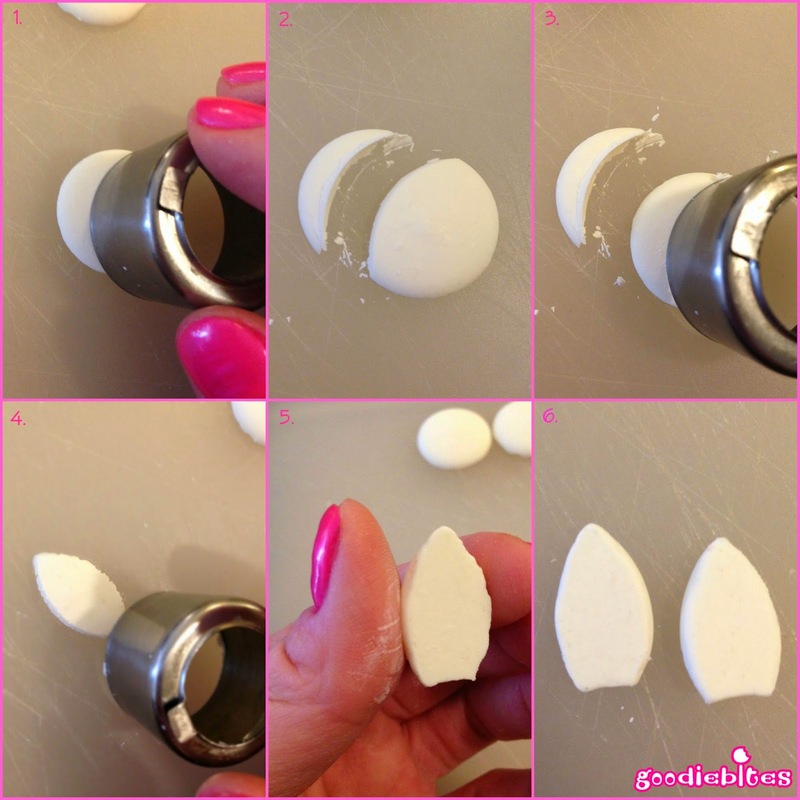 Using the edge of the cutter, cut a crescent shape from each side of the melt. Then snip off a little from the bottom as well so you’ll have a flat surface to adhere the ears onto the cat’s head. The edges all around will be rough from the cuts so simple rub the side of your thumb along the edges to smooth them out. Next you’ll want to test the ears on Grumpy’s head just to make sure the size is right and that they sit properly. Yeah, this looks about right. 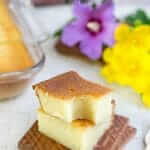 With your melted candy, add a ‘headband’ and two extra spots of melt to attach the bunny ears to. 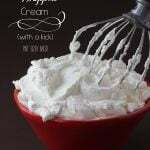 Add a little extra melts to the back to secure the ears well. Last but not least color use a little pink marker to give the ears that little extra sumthin’ sumthin. And now Grumpy Cat is all spruced up in his Easter finery and ready to have some fun….OR NOT! 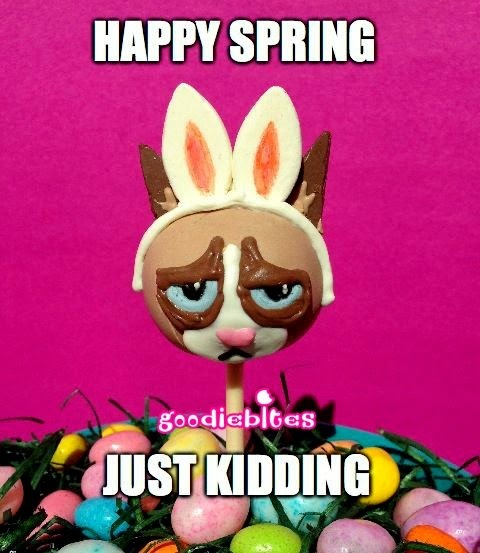 Goodiebites wishes everyone a Happy Spring, although I guess Grumpy Cat has other ideas! 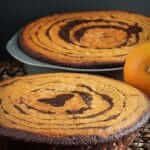 Lisa, this is amazing! I love Grumpy Cat and I think he’ll be thrilled to be the Easter Bunny! 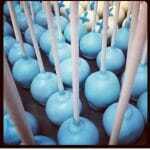 If you enjoyed this cake pop, please follow Goodiebites on Facebook and check out her online shop.